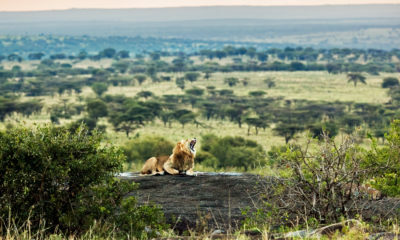 Embark on a journey of cultural discovery and amazing wildlife viewing on this seven-day tour of southern Ethiopia. 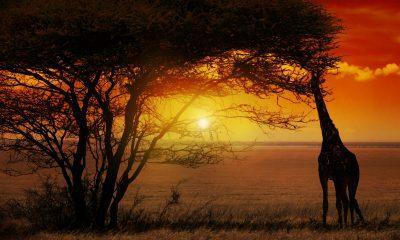 Split asunder by the Great Rift Valley, Southern Ethiopia is a land of lakes, rivers, and diverse tribal cultures awaiting discovery. 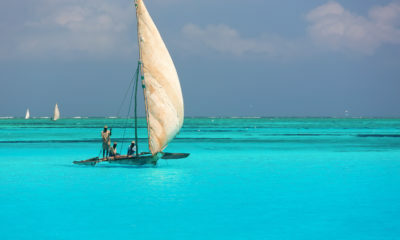 You'll start your Ethiopian adventure with a tour of the nation's capital. 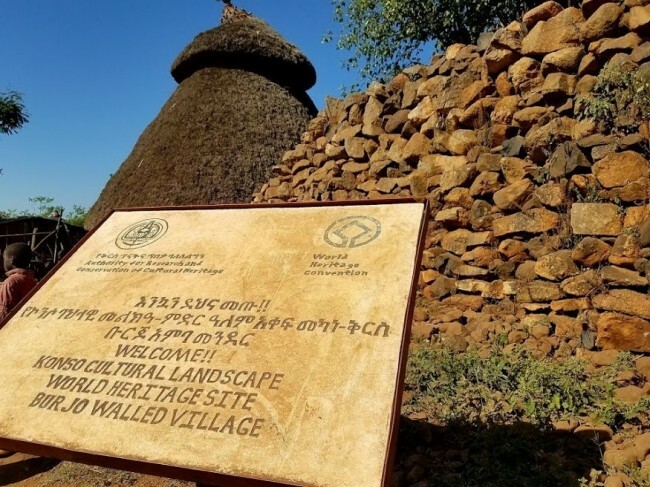 Your Addis Ababa tour will include a visit to the National Museum as well as the historic Trinity Cathedral to soak in the nation's fascinating Christian history. 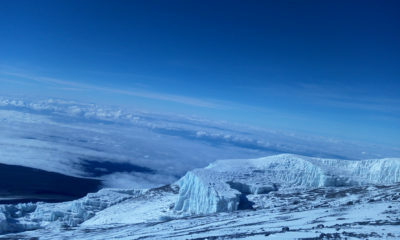 Another highlight of your day is sure to be the chance to take in the city from atop Mount Entoto. You'll then overnight in the capital. 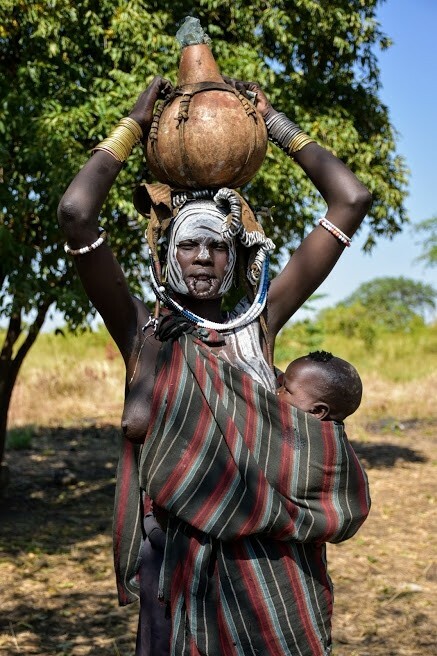 You'll set off after breakfast and make your way to Arba Minch on the fringes of Nechisar National Park. Along the way, you'll visit Tiya, a UNESCO World Heritage site which contains 36 monuments, including 32 carved stelae covered with symbols. 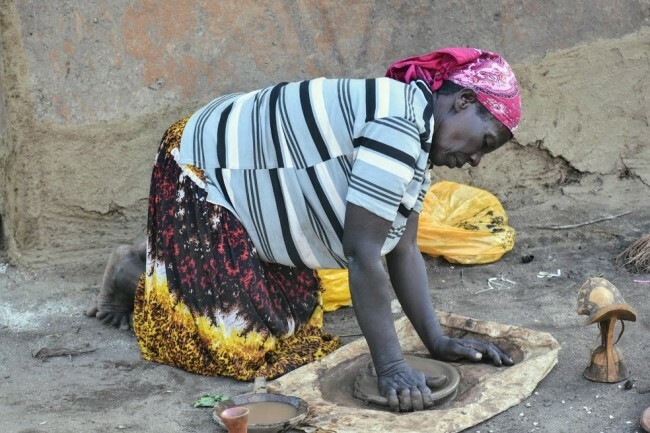 You'll overnight in Arba Minch. 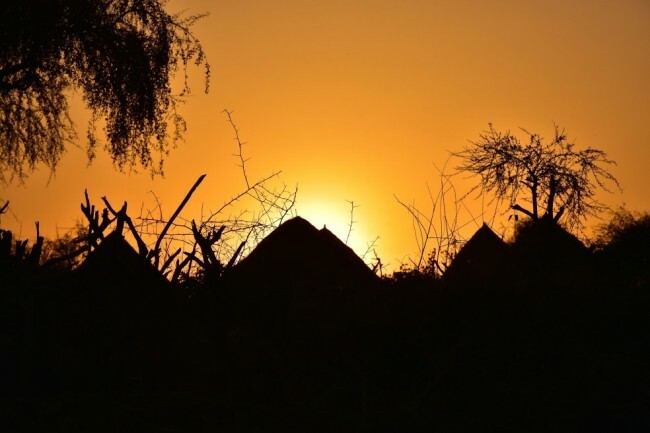 Situated close to both Lake Chamo and Lake Abaya, this often overlooked city is your gateway to Ethiopia's diverse culture. 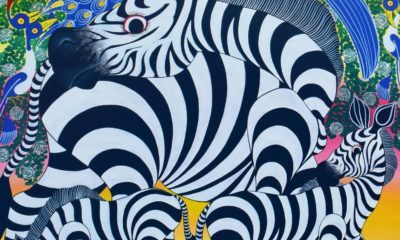 In the morning, you'll go on a cultural safari as you drive to Chencha to explore an authentic Dorze village and learn more about the Dorze people. 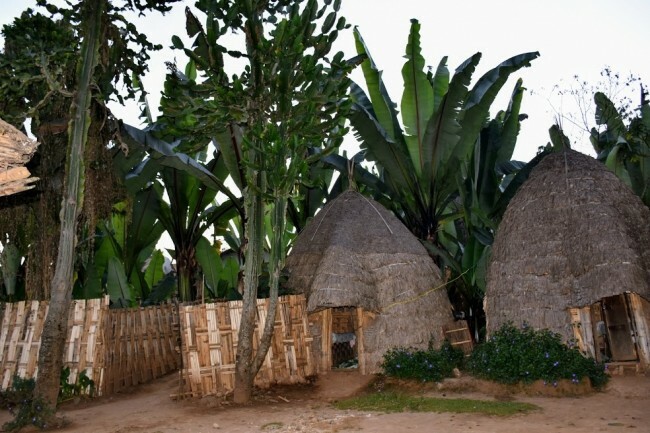 You'll not only tour the village and get a taste for village life, but also speak with the villagers to learn more about their rich culture. 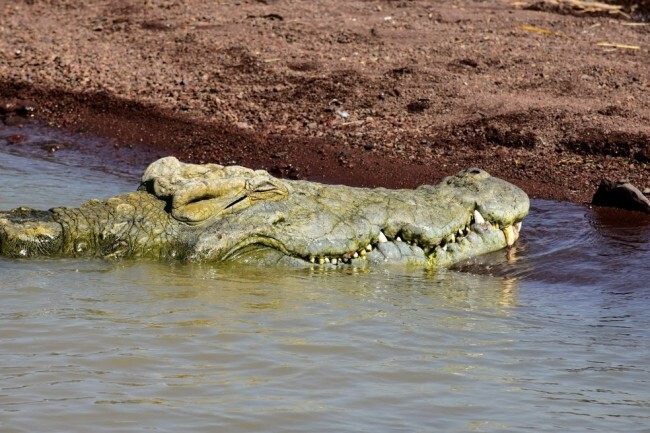 After lunch, you'll set off for your first wildlife experience of the trip, taking a boat safari out onto Lake Chamo to see the crocodiles, hippos, and birds that call the region home. 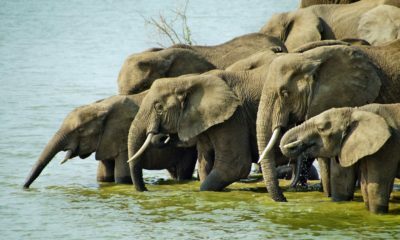 A boat safari gives you a unique perspective on Africa's wildlife, and you're sure to get a thrill from the up close and personal tour. 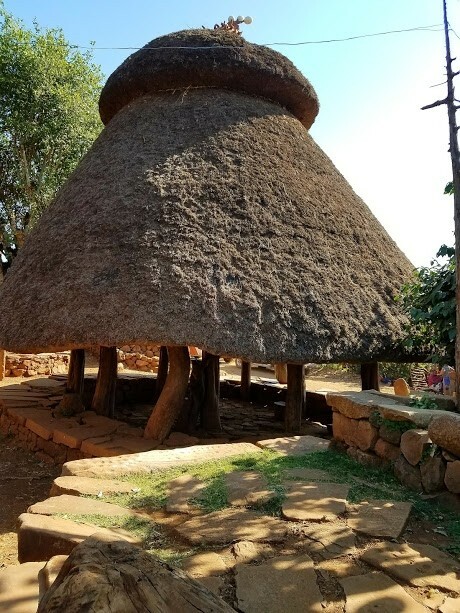 In the morning drive to Konso to visit the UNESCO World Heritage Listed Konso Cultural Landscape. A site of immense cultural importance, these 400+ year old villages stand as testament to the enduring adaptability of the people who have called these lands or hills home for generations. 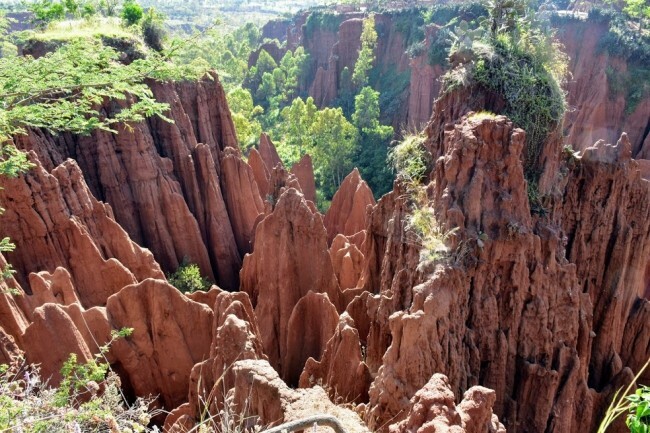 Characterised by stone walled fortifications and ancient stelae, Konso is bound to be a highlight of your trip. 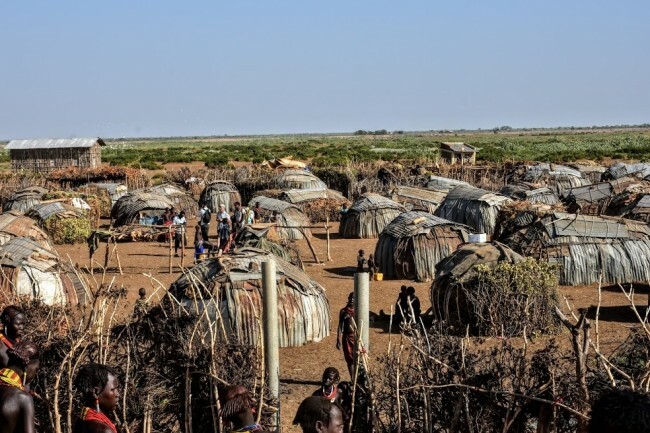 In the early morning, drive to Omorate to visit a Dassanech tribe who have settled adjacent to the Omo River. 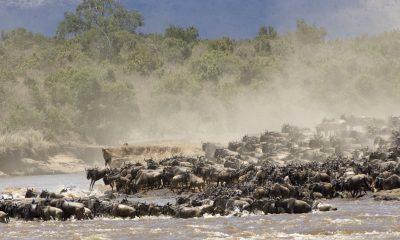 Here you will cross the Omo River by a boat. After your visit, return to Turmi for lunch. After lunch drive to Key Afer and visit the local market there. On market day you will find the Bena, Ari, Hamer and Karo tribes at this market. Return to hotel for rest. 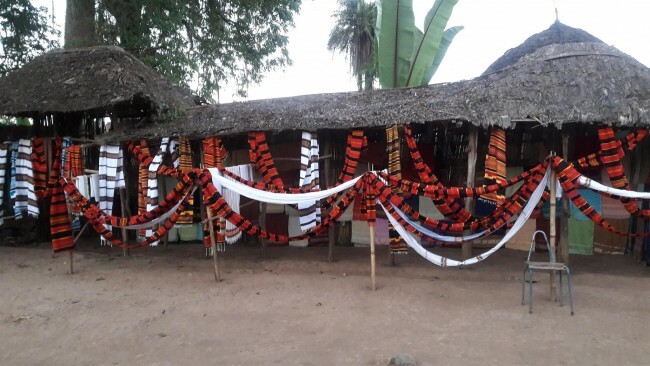 In the evening visit a Hamer village while they carry out their evening duties culminating in a gathering of dancing and singing. Dinner and overnight in Turmi. 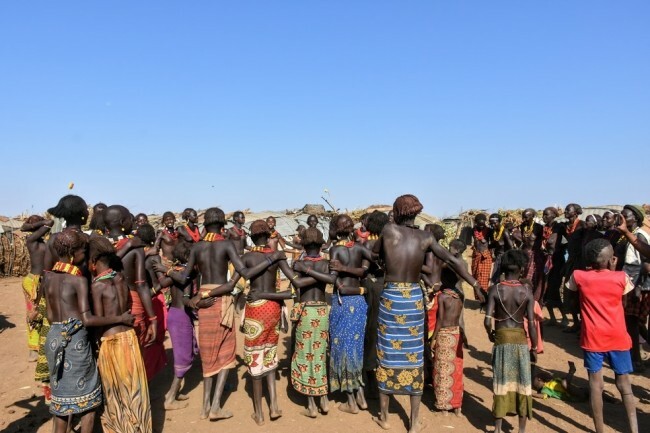 The cultural exploration continues today, as you'll drive to Jinka and venture into Mago National Park to meet with the Mursi people. 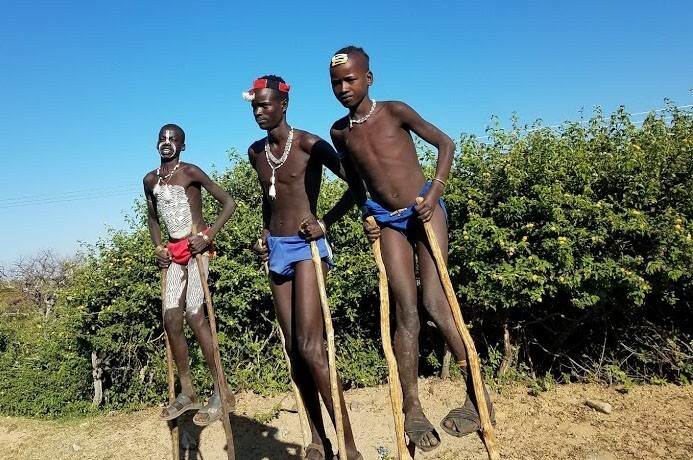 Famous around the world for their instantly recognisable 'lip plates', the Mursi are one of Ethiopia's most famous tribal peoples and one of the most fascinating cultures you'll ever have the chance to interact with. 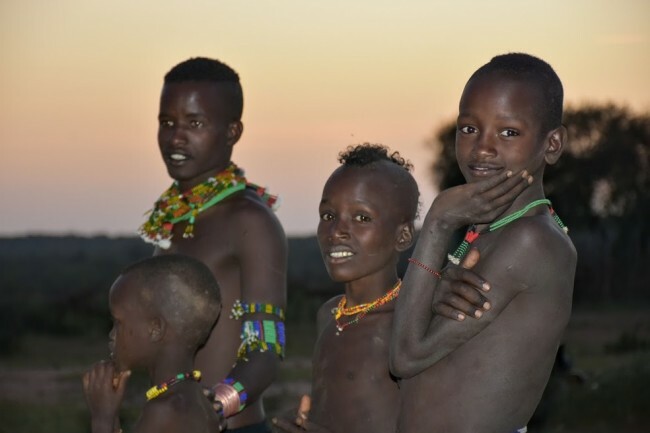 After lunch in Jinka, you'll spend the afternoon with the Ari tribe. The Ari are the largest tribe in the Omo Valley and are well-known for their pottery, their distinctive scarring, and the banana peel 'enset' skirts worn by their women. In the evening, you'll overnight in nearby Jinka. 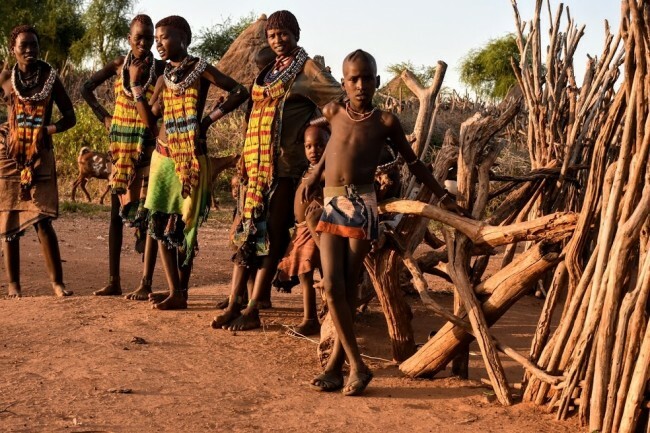 In the morning, visit the South-Omo Museum and Research Centre and learn more about the 16 Omo Valley tribes. After lunch, drive Jinka Airport for flight back to Addis Ababa. Explore the Ethiopian capital, Addis Ababa. 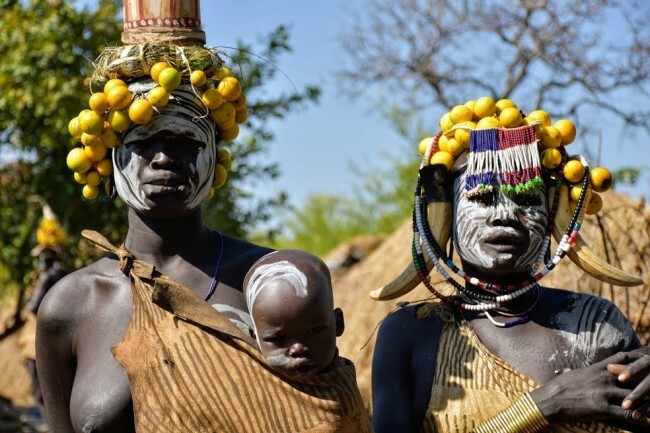 Interact with Ethiopia's diverse tribal cultures, including the Mursi, Hamer, and Ari. 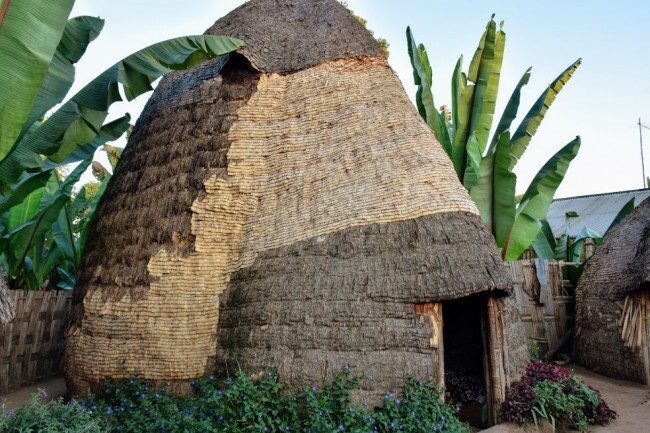 Visit the Konso Cultural Landscape. Boat safari on Lake Chamo.